Expanding Access to Biodiversity Literature, which is funded generously by the Institute of Museum and Library Services (IMLS), will significantly increase online access to biodiversity material by positioning BHL as an on-ramp for biodiversity content providers that would like to contribute to the national digital library infrastructure through the Digital Public Library of America (DPLA). The grant proposes to address challenges facing content providers—including insufficient amounts of content, indexing of scientific names, and metadata creation—and make necessary digital infrastructure enhancements by creating an innovative model for open access to data and to support collaboration among these institutions. The project would meet the goals of the IMLS National Leadership Grants for Libraries Program by increasing access to digital services, expanding the range and types of digital content available, improving discoverability, and supporting open access. The Project Team will interact with content providers to improve metadata through training and quality control, engage the community through outreach on a national level, pursue copyright permissions, and improve BHL’s digital infrastructure through system enhancements. This project will address the challenges that many libraries, archives, and museums face in sharing their content by developing partnerships and providing the tools and services needed for future and ongoing participation in a shared and sustainable national digital platform. The goals of the project are to: 1) Expand BHL’s role as a subject-specific content provider for life sciences; 2) Serve as an aggregator to allow small natural history collections to present their content in DPLA via BHL and expand the community of content providers by working with new partners; 3) Preserve and provide access to small natural history and botanical collections and publications through outreach, assistance with scanning, and software tools to format and normalize data for ingest; and 4) Increase the quality of partner metadata through use of DPLA metadata best practices. The Project Team has four intended outcomes and a means towards measuring the success of these outcomes: 1) Expand public access to biodiversity literature; 2) Increase in the number of new and first time content providers to both BHL and DPLA, ideally with at least 100 added by the second year; 3) Serve as a model for “subject-based” hubs; and 4) Develop processes that will ensure long-term biodiversity contributions to DPLA. Success will also be measured by the increase in the number of new metadata records to BHL and DPLA (~300,000 new records added by the second year), and by the increase in the amount of biodiversity and cultural heritage materials discoverable in BHL and DPLA, as indicated by an increase in the number of contributed items and pages. Another measure of success will be an increased utilization of BHL’s self-service ingest tool (Macaw) by the content providers over the next several years. 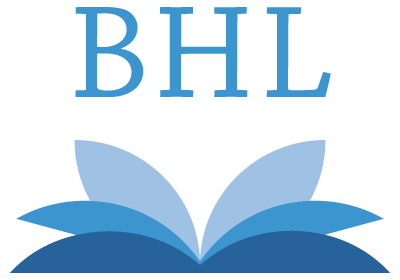 Additionally, the project will add up to 50 titles that are still in copyright to the BHL portal and thus make current content accessible through DPLA. By removing obstacles that obstruct content providers’ participation and by developing tools to support and facilitate contribution to DPLA, this project will strengthen the holdings of BHL and DPLA and will benefit those institutions that lack the resources to make their collections widely accessible. Participating libraries, museums, and natural history societies will benefit by exposing their content more broadly, and researchers and the public will benefit from the increased access to biodiversity content. These often hidden collections will be made available to the public at large on a shared national platform. 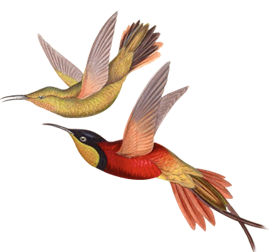 BHL will provide a repository/delivery system that allows natural history institutions that don’t have the capacity to purchase or host their own system to share their digital content. The project runs from October 1, 2015 to September 30, 2017 and will be conducted by the New York Botanical Garden in partnership with Harvard University, the Missouri Botanical Garden, and the Smithsonian Institution Libraries. American Libraries Magazine: Fielding a Field Notes Comeback. In the Company of Plants and Rocks: Wyoming Native Plant Society helps to liberate Plant Names for Creative Re-use. Explore EABL-related posts on the BHL Blog. For more information please contact the project’s Principal Investigator, Susan Fraser at 718-817-8879 or sfraser@nybg.org.